Each year, the Klingenstein Center at Teachers College, Columbia University, awards just 20 fully-funded fellowships for its Independent School Leadership’s 2019 Heads of Schools Program. We are proud to announce that this year, Graded Superintendent Richard Boerner has received this distinguished honor. As a 2019 Klingenstein Fellow, Superintendent Boerner will join a cohort of heads of school from across the United States and eight other nations. Fellows will gather together in January on the Columbia University campus for intensive study. They will focus on topics including instructional leadership, collaboration, ethical decision making, reflective practice, and commitment to social justice and diversity. 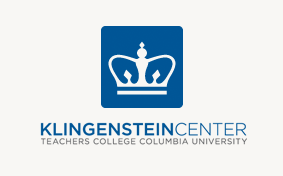 Drawing upon a record of success that spans 40 years and the full resources of Teachers College and Columbia University, the Klingenstein Center stands alone in its capacity to develop leaders for independent schools. The Center attracts and selects educators who have demonstrated outstanding accomplishment or potential for excellence and equips them with the knowledge, skills, and values necessary for informed and effective practice.